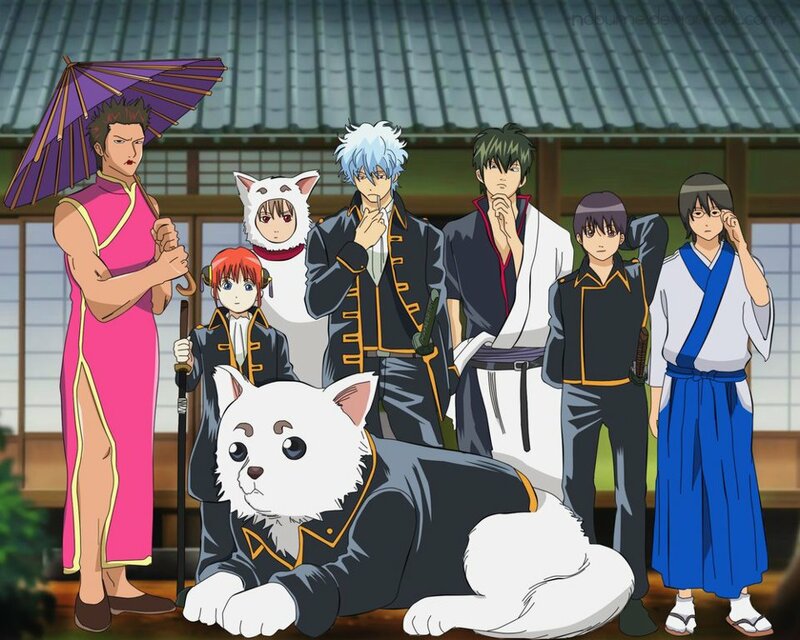 Yorozuya/shinsengumi. . HD Wallpaper and background images in the गिनतामा club tagged: gintama sakata gintoki kagura okita sougo hijikata toshirou. This गिनतामा photo might contain बैंडवाला, बैन्डमैन, and बैंडमैन.